This year’s new-look Silverstone 24 Hours race will feature an entry for a combined squad of four Barwell Motorsport drivers, aboard a JJ Motorsport-run BMW M235i. Barwell Team Principal Mark Lemmer will again share a car in the Silverstone encounter with Russian driver Timur Sardarov, the pair having contested last year’s race in a Marc Cars Ford Focus. This duo will team up with two of Barwell’s 2016 Blancpain Endurance Cup drivers, Mark Poole and Richard Abra, to make a formidable challenge for the BMW M235i Cup 1 Class. Three of these drivers have been winners in the Silverstone endurance classic before, with Lemmer claiming Saloon Class spoils in 2005 aboard a Barwell-run Honda Accord Type R (along with Tiff Needell, James Kaye and Vicki Butler-Henderson). 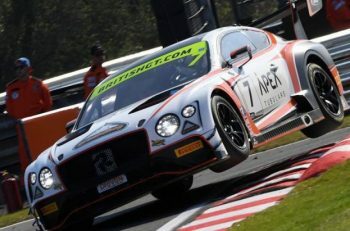 Whilst the Poole/Abra combination have twice been outright winners of the event, in 2012 with a Geoff Steel Racing-run BMW M3GT and then in 2013 with their Barwell Motorsport Aston Martin Vantage GT3 (when the race was run over 1000kms). 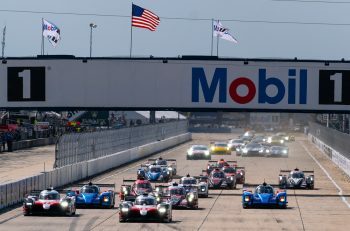 This year the event, now run by the Creventic 24H Series organisation, will not allow GT cars to compete and will feature a variety of tin top classes vying for outright and individual class honours. The Belgian JJ Motorsport team are one of the most successful outfits in the BMW M235i category, having won last year’s Belgian BMW M235i Racing Cup series and also claimed class victory in the Zolder 24 Hours.